In September 2003, People Magazine published a collector's edition of the 100 Greatest Stars of Our Time. The 100 stars were judged to be the greatest during People's years of publication (1974 and on). The edition explained, "TV stardom can be fickle and fleeting. 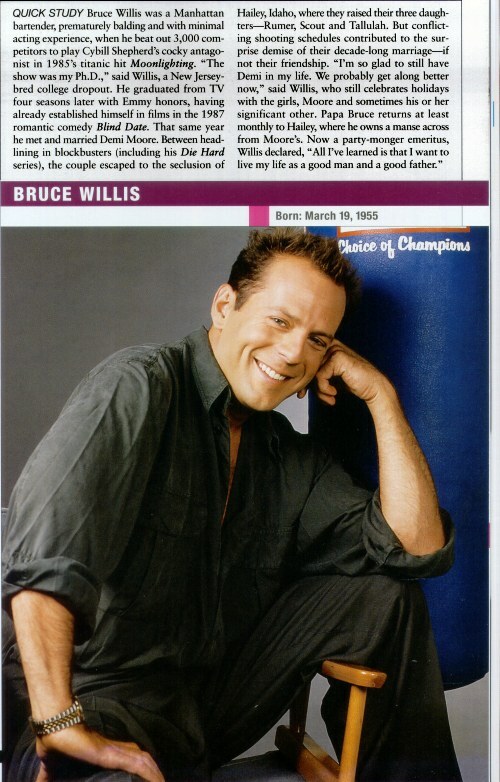 Or it can last, seemingly, forever....In selecting the 100-small screen icons that helped define the People era, the editors considered not just the ratings toppers but also the trendsetters who helped transform our times..."
We were thrilled to see that both Cybill and Bruce made the cut. All Text Written on this Site © 2002-2003, Cindy Klauss & Diane Hopkins unless otherwise credited.